To enter, zip on over to StickerStop’s facebook fan page and “like” it, then comment below that you did! There are two 8-yard sets to be won, so your chances are high! Contest ends December 10th, winners will be announced here and on our facebook fanpage. Good luck! EDIT: Congratulations to the winners, Johanna and Bridget J. Thanks to everyone who entered! I saw that my name was picked! Do I need to do anything now? Liked! Thanks for the chance to win! Liked the page and LOVE washi tape! Liked on Facebook, would love to win & wrap up cute presents for Christmas! Liked the Facebook page. These colors are awesome!!! Soooo cute! I get so excited when I can give somebody a gift, but even more so when it’s so snazzy. I liked the FB page. And I am loving all the different colors and patterns! 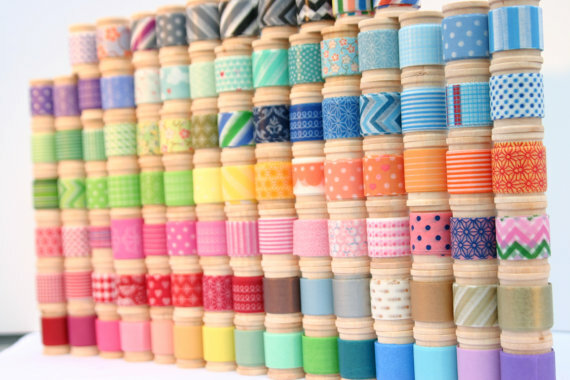 love love love washi tapes!!! my new favorites for all gandmade and scrapbooking needs!!! Love ur store! Stickerstop is the perfect name! Liked! I’m dreaming of all of the projects and decorating I can do with this tape! Love all of the various color and pattern choices! The tape is super cute! I’d love to have it for decorating! I liked the Facebook page! I love washi tape! I liked it! Who knew tape could be so pretty?!?! Just liked the page and crossing my fingers that I win! So many projects to do with this! Liked! I adore cute packaging. I LOVE washi tape and just went over to StickerStop! Love, love, love washi tape. I liked Stickerstops FB page.